Born Desbert Johnson in 20 June 1973, St Ann’s Bay. Chezidek started singing from his early age at school concerts. After finishing school he performed on sounds systems in the area, as Chilla Rinch, singing and Djing at many various dances and talent shows. He left St Ann’s Bay for Kingston where he linked up with record producer Phillip “Fatis” Burrell from Xterminator production. he recorded his first album in 2002 ”harvest time” distributed by VP records, with popular tracks such as ” Can’t hear must feel”. “Break Free” and the title track “Harvest time. His first number one hit single “leave the trees” on a promotional label produced by Hugh Miller (aka Bunny Dan), Chezidek recorded a hit album “Inna di Road” with “massive B” out of NY with hits like “Inna di road”, “Call pon dem”, “Dem a fight we”, “Nuh run”, “Far I”, and others”. His latest albums, Chezidek team up with the legendary Sly & Robby to record another hit album “I-grade” released November 2009. He now has a brand new strictly roots album with dub ” Judgment Time”, which is one of the top selling Reggae album seen as the best for 2010 by most Reggae magazine and websites. Chezidek is an artist who has undoubtedly experienced a rather large increase in his own status in Reggae music over the last couple of years or so. 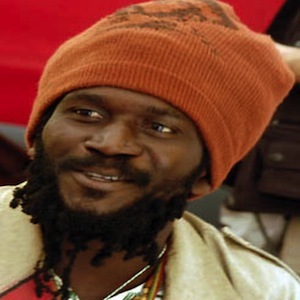 He has seemingly gone from a solid and very well respected singer and definitely one of the finest songs writer of his generation, a categorisation which he had enjoyed for years into being one of the most in demand modern Roots Reggae artists that there is. Sun or rain….Chezidek sings always the same positive message of life: Love, justice, equality for all humanity.